The first photograph ever on this website taken using a drone. Here it is folks. What else? 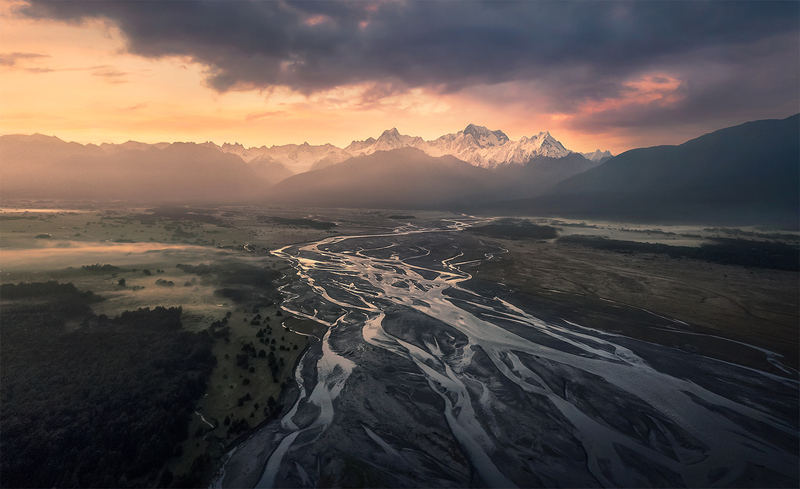 Glacial rivers of course, and Mount Cook beyond. . Photo © copyright by Marc Adamus.